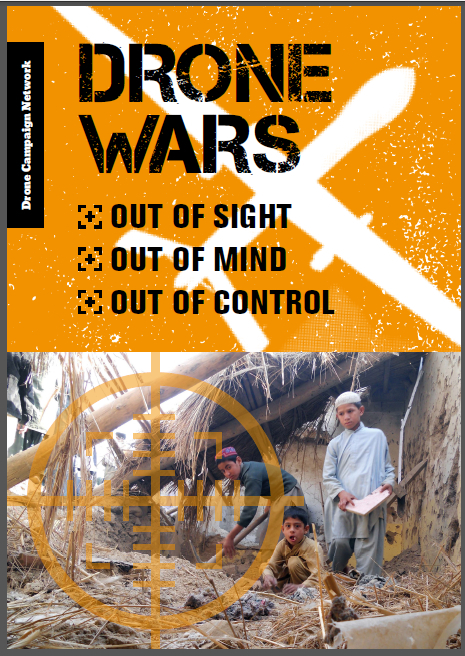 Since British military operations against ISIS began last September the MoD has been publishing brief updates of its military activity in Iraq on its website (see here). 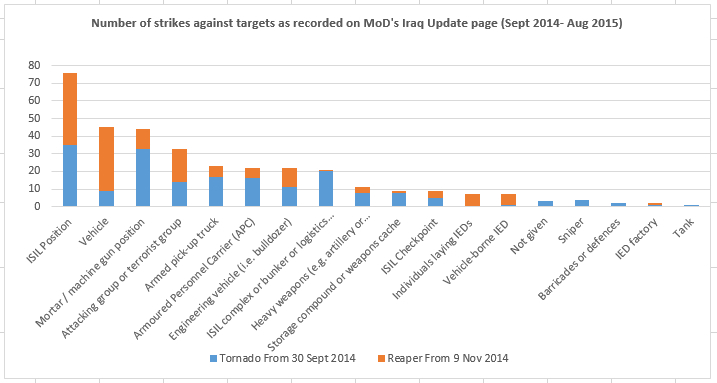 These updates include some details of strikes undertaken by both British Reaper drones and the UK’s dedicated strike aircraft, the Tornado. We now have 12 months of updates (Sept 14 – Aug 15) and while most but not all strikes have been included in these updates it does allow us to make some initial comparisons. 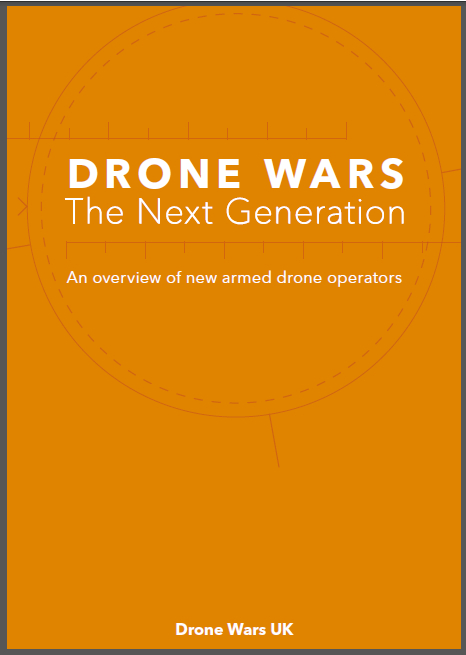 From the reports it seems that drones are far more likely to strike at vehicles, while machine gun and mortar positions as well as heavy weapons are targeted by Tornados. 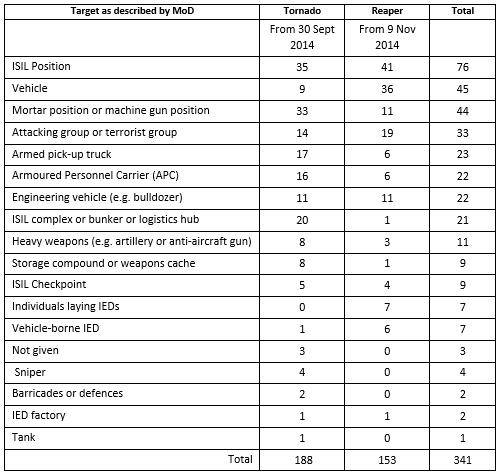 Drones it seems target IED emplacers and vehicle-bourne IEDs more often, while ISIL bunkers and complexes – presumably command and control targets – are being attacked by Tornado aircraft. However it’s important not to draw too strong conclusions from this data as it is hard to know how accurate the descriptions in the reports are, and what information is missing. 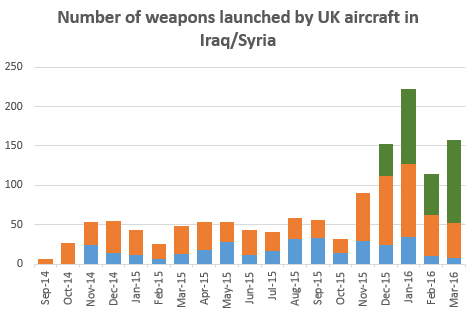 In response to FoI requests and parliamentary questions the MoD details the number of strikes and weapons launched against ISIS in Iraq (and from now on presumably Syria) but this does not always match the narrative reports discussed above. Below is a table setting out data that has been given for the first six months of 2015.